Is it possible to start up a real motorbike by posting a simple comment on Facebook? Well, yes it is. The proof is that we have done it. 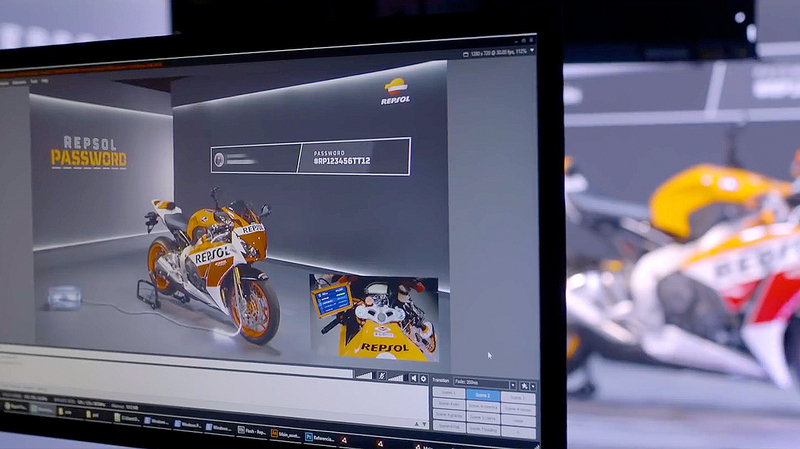 McCann devised and then entrusted us to conduct an action for followers of the Repsol Honda team. A totally unconventional contest that has revolutionized the social networks. During the first part, participants had to find the right answer to several questions fired off by the brand over the course of one week and—using them—put together a unique password. And that is when the show kicked off: users had to send the password by comment during a Facebook Live streaming. 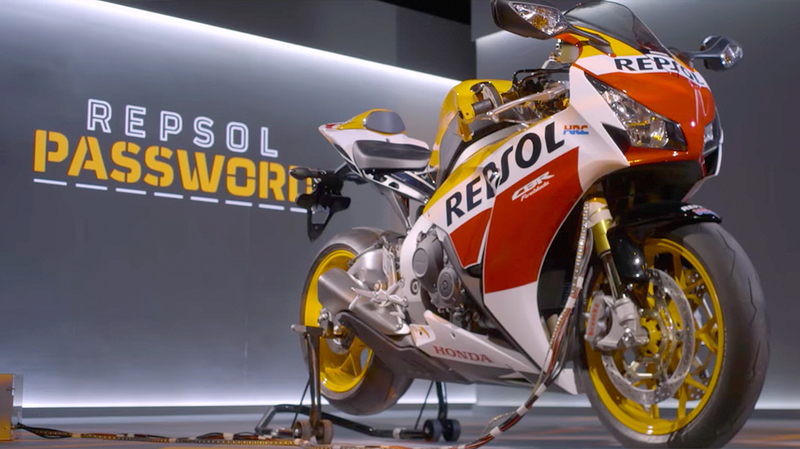 The first one to post the right password started up nothing less than a CBR 1000. And that’s exactly what happened… Take a look! The live event racked up 70,000 views. There was an average of 1600 users connected for one hour. During this hour, they interacted with the brand over 15,000 times. Contents related to the action, which were published on Facebook, Twitter and Instagram, reached an audience of over 7 million unique users. And the number of followers of the Facebook profile leaped by 12,000 new users in only 2 weeks: 10% of the total. 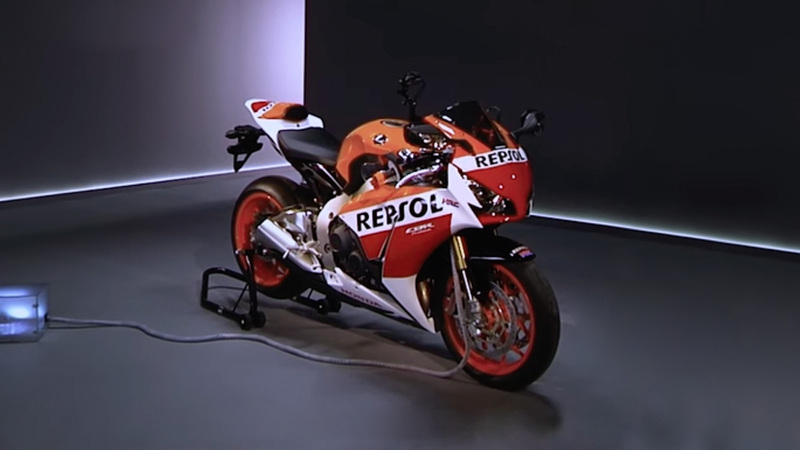 Inverse engineering via 3D scanning, photogrammetry and manually taking the measurements of the CBR1000RR. 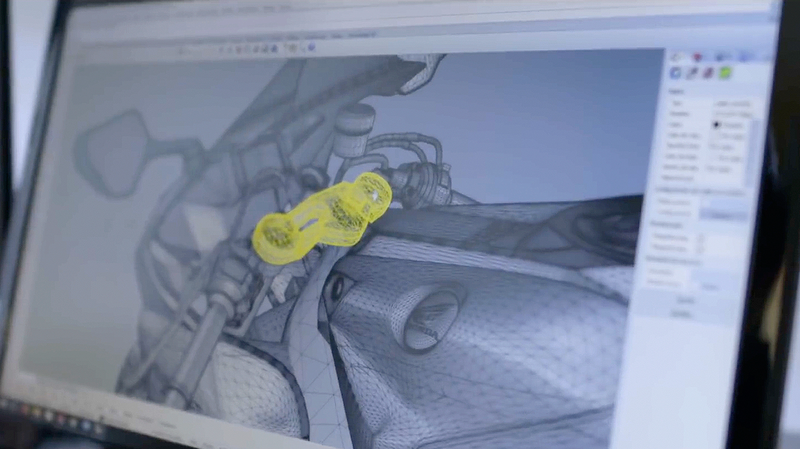 Conceptualizing and aesthetic design of the parts and mechanisms to implement. Digital 3D modelling, integrating our devices in the CBR for the aesthetic proposals. Manufacture of the PLA 3D printing devices and laser cutting of the methacrylate. Analysis and search for actuators strong enough to perform the actions of turning the key, pressing the ignition button and twisting the accelerator, as well as the mechanical design of a pulley and gear system. Electronic programming via an Atmel microcontroller to operate the engines acting on the mechanics. Design and manufacture of a custom screen to display progress in a view from the cockpit. Low level graphic programming on an LED RGB light strip to create animations. Manual assembly of the electronic circuits using solder protoboards. Backend infrastructure in AWS, Aurora RDS DB cluster and an ECS of Docker containers with our backend code. Backend programming in Laravel/PHP7 to compile video streaming comments in real time that return the Facebook API to us, filing them in the database. Production and live streaming of the event on Facebook. Programming of NodeJS module to automate camera changes from the video broadcasting software of the Facebook streaming. Programming of the main application in NodeJS, which is responsible for orchestrating the entire action Collect all backend data and control camera changes, LED lighting and the electronic actuators. Mapping of the Facebook scenario data that the camera was analyzing, with two 30,000 lumen projectors. Frontend programming in AIR+Starling of interfaces... Who said that Flash is dead? : ) Both the projection and the data displayed on the cockpit screen. Laser cutting of transparent methacrylate. PLA 3D printing of white and orange colours. 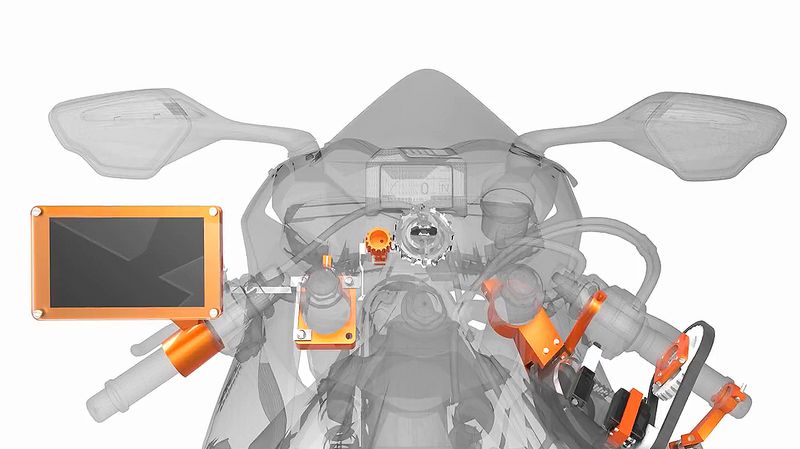 3D design of parts in Solid Works and Rhinoceros. Preparation of models for 3D printing in Repetier Host. C programming to operate the microcontroller. OrCad to design the circuits. Manual assembly and production of cables and connectors on Arduino. microcontroller. PHP7 and Aurora RDS database. Infrastructure for microservices on AWS.